8" x 12" x 2" closed. Accommodates one pistol and up to 5 mags. Lockable dual zipper slides. Dual 1" elastic loops at bottom. Interior 4" x 6" loop field plus assorted hook strips for small tools or gun parts. Exterior 3" x 6" loop field for name/ID patch. 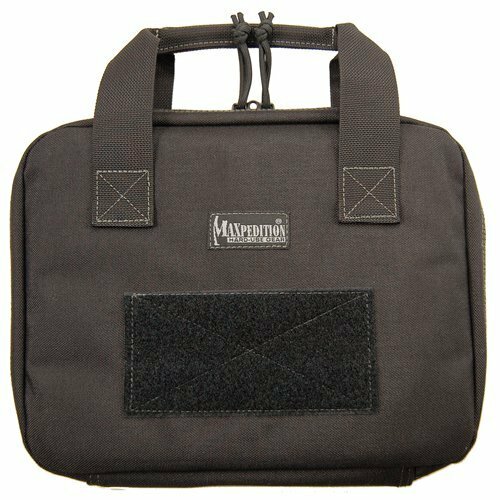 Maxpedition hard use gear is constructed of 1000-denier water and abrasion resistant light-weight ballistic nylon fabric treated with Teflon fabric protector for grime resistance and easy maintenance. Uses high tensile strength composite nylon thread (stronger than ordinary industry standard nylon thread). #AS-100 high grade closed-cell foam padding material for superior shock protection. High tensile strength nylon webbing. #10 high strength zippers and zipper tracks. Utx-duraflex nylon buckles for low sound closures. All items shown with the Maxpedition products are for display purposes only. They are not included with the product. 8" x 10" x 2" closed. Accommodates one pistol and up to 5 mags. Lockable dual zipper slides. Dual 1" elastic loops at bottom. Interior 4" x 6" loop field plus assorted hook strips for small tools or gun parts. Exterior 3" x 6" loop field for name/ID patch. 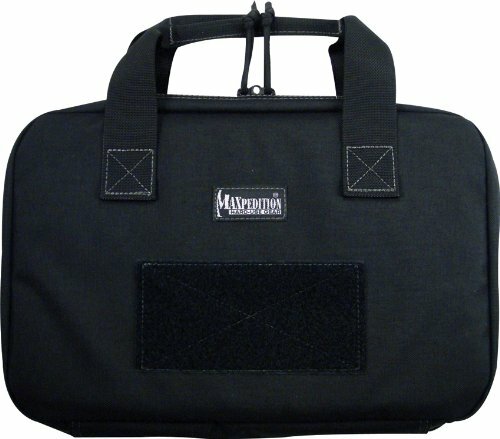 Maxpedition hard use gear is constructed of 1000-denier water and abrasion resistant light-weight ballistic nylon fabric treated with Teflon fabric protector for grime resistance and easy maintenance. Uses high tensile strength composite nylon thread (stronger than ordinary industry standard nylon thread). #AS-100 high grade closed-cell foam padding material for superior shock protection. High tensile strength nylon webbing. #10 high strength zippers and zipper tracks. Utx-duraflex nylon buckles for low sound closures. 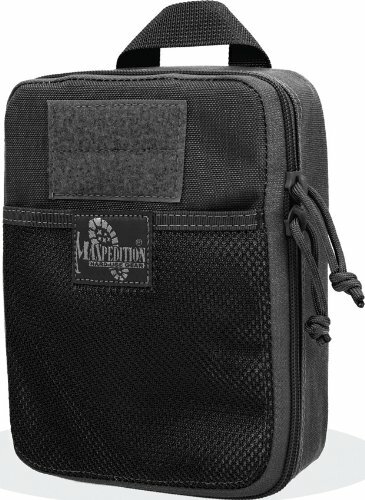 All items shown with the Maxpedition products are for display purposes only. They are not included with the product. A quick, convenient, and highly functional sidearm storage solution, the 5.11 single pistol case provides safe and secure transportation for your pistol and shooting gear. 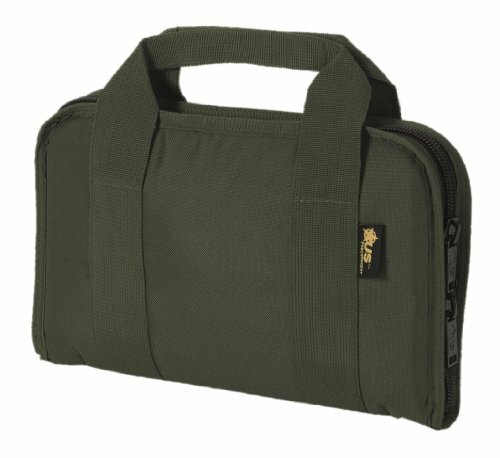 The single pistol case offers wrap-around zip access and a lay-flat design for instant access to an insulated pistol compartment and a Series of heavy-duty elastic straps that hold magazines and accessories. 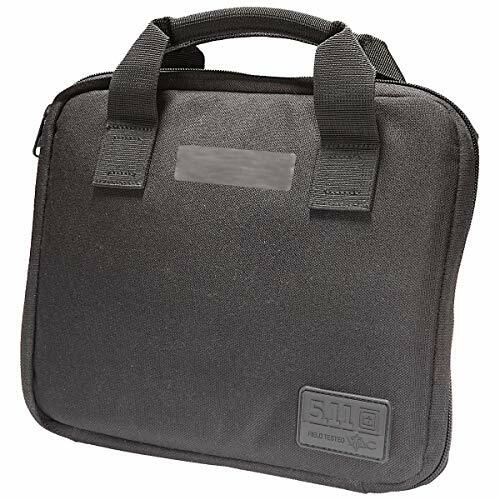 Additional features on this compact soft pistol case include a locking YKK zipper for enhanced security, reinforced grab-and-go handles that won't rip or unravel, and external nametape for quick ID. Looks like an ordinary admin case inside there is storage for your pistol and eight magazines. 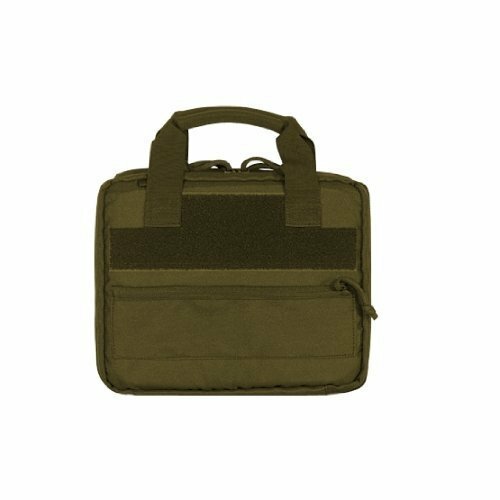 The center divider is a large zippered accessory pouch with three smaller zippered pouches sewn into it for tools or small parts. The pistol side has an adjustable Universal holster to secure and place your pistol anywhere on the soft hook- loop mat. There is also a hook-n-loop pouch under the pistol side. The outside features a full length zippered pocket and ample soft hook-n-loop to attach your nametag or favorite unit patch. 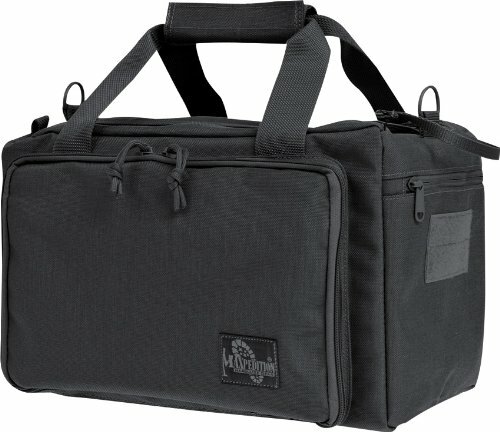 The case also includes main pouch locking zipper pulls. 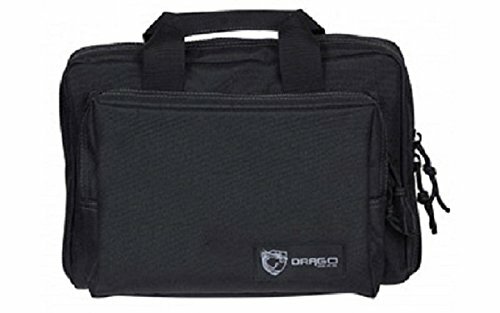 Drago Gear Double Pistol Case, Black, 12.5" x 9.5" x 4.5"
Our largest fast opening CCW pouch, for large pistols Product Specifications Overall size: 8"(L) x 1.5"(W) x 10"(H) View Product Dimensions Diagram Tears open for instant CCW access Includes repositionable Hook-&-Loop holster & mag holder Product Materials 1000-Denier water and abrasion resistant light-weight ballistic nylon fabric Teflon fabric protector for grime resistance and easy maintenance Triple polyurethane coated for water resistance High tensile strength nylon webbing High tensile strength composite nylon thread (stronger than ordinary industry standard nylon thread) Internal seams taped and finished Stress points double stitched, Bar tacked or "Box-and-X" stitched for added strength Cleaning Instructions MAXPEDITION's nylon fabric is treated with DuPont Teflon for superb water and grime resistance. To clean, simply wipe down with a damp cloth. Allow gear to dry naturally. Do not machine wash. Do not use detergent or bleach. 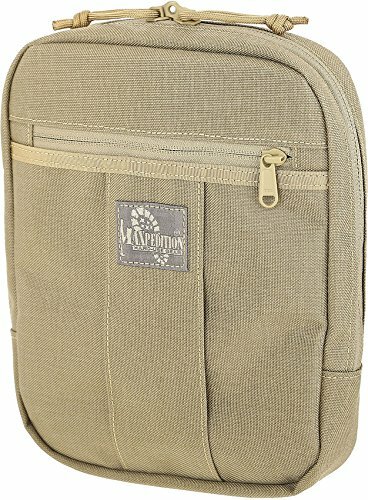 Shopping Results for "Maxpedition Pistol Case"